High Country Snowfall – Photography by Pat Kofahl - Together, We Make Memories! 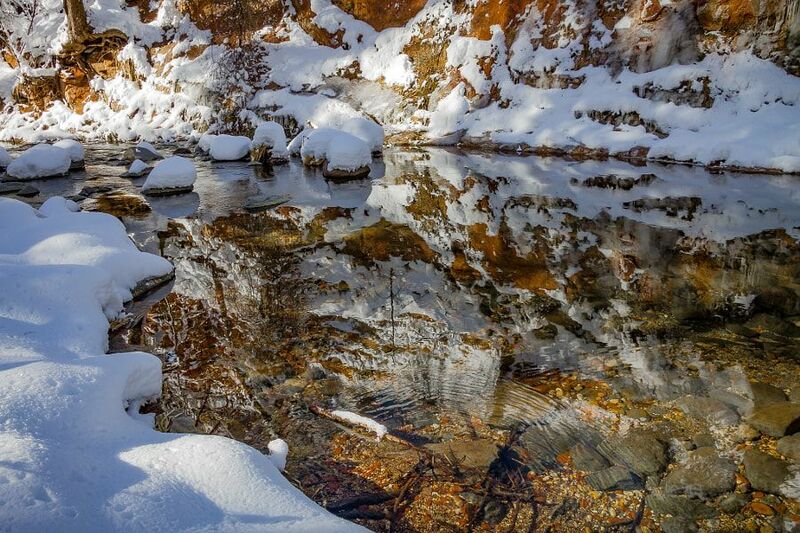 The West Fork of Oak Creek becomes a winter wonderland in the snow. Here the reflections of the bright Navajo sandstone combine with the pristine white of the snow to create a natural tapestry. The near frozen mountain stream both reflects the image of the mountainside above, while also revealing the textures and colors of the stream bed below, requiring the observer to pause a moment to resolve the image. This fine art image by Pat Kofahl is available in multiple sizes on paper, canvas, metal and plexiglass. Prices start at $49.00!